South Dakota-Band of Brothers connects men through small groups and outdoor adventures with the purpose of helping men become all that Jesus intended them to be, providing a place for men to gather … refuel … engage … encourage … and be challenged. 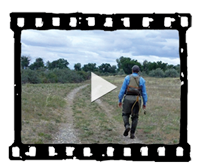 Our adventures may be spending time on a river chasing a 20-inch rainbow trout; or, walking a food plot pushing pheasants up to shoot; or, pulling plugs on the Missouri for walleye; bopping a prairie dog if he sticks his head up too high on the vast South Dakota landscape; or, climbing one of the highest mountain peaks in Colorado. Regardless, if our time is spent in fellowship or adventure, we believe in the value of spending time with each other and the impact it has on our lives. Many men often miss the spirit of adventure in their lives that keep their hearts alive and free. Men who seek adventure in the Kingdom of God live differently, live with purpose, live with hope, live courageously. “Men become men in the company of other men”; ask any warrior in any culture and you will get the same response. 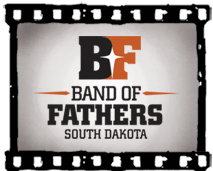 South Dakota-Band of Brothers encourages and mentors men to take on the challenges of leadership; to stand tall, take responsibility, lead with a courageous energy and expect the rewards of a significant life! We believe Jesus best modeled authentic manhood and we challenge each other to follow His lead. Give us a call. Get involved. There’s an adventure out there to live!